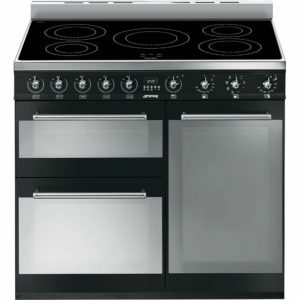 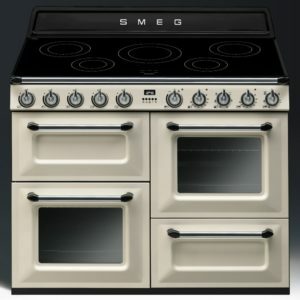 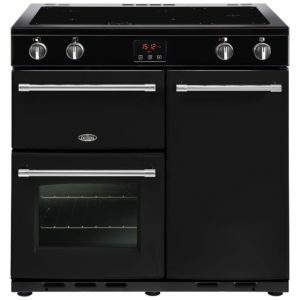 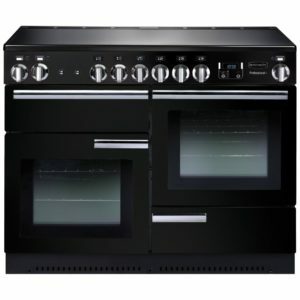 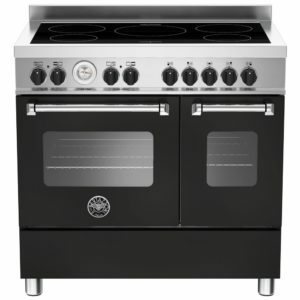 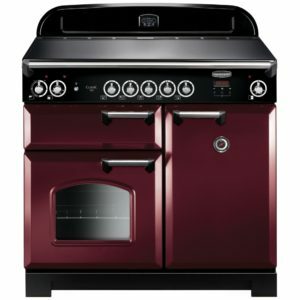 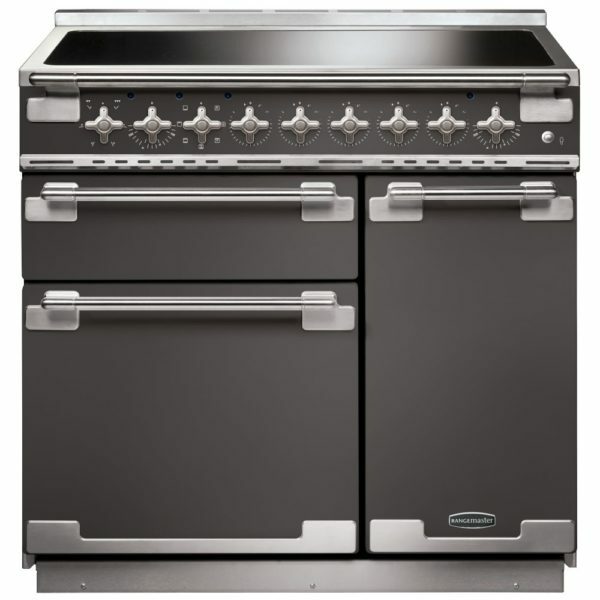 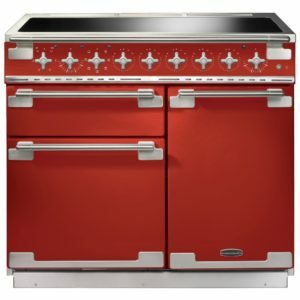 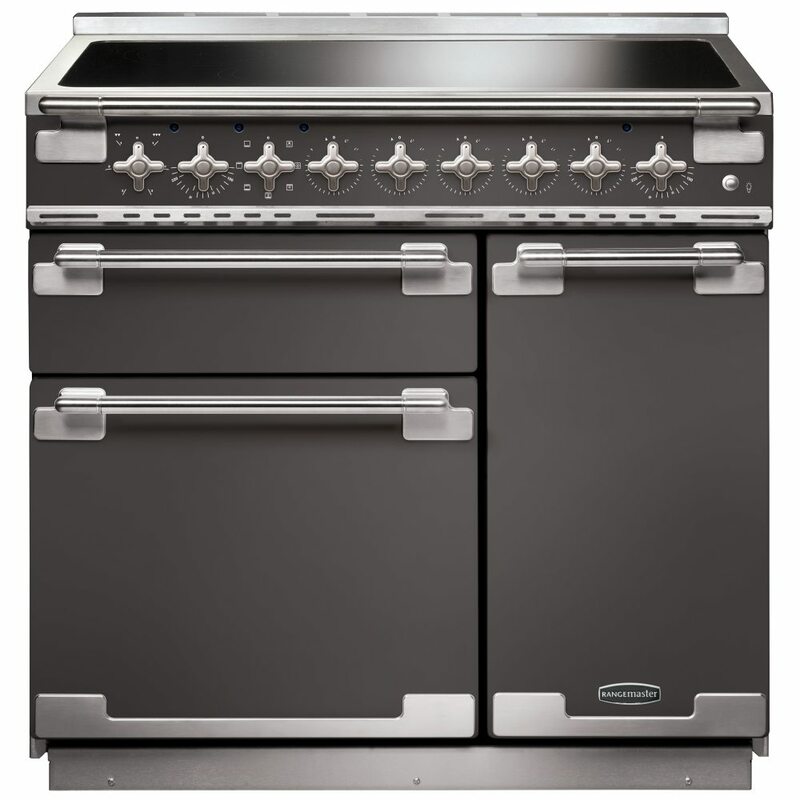 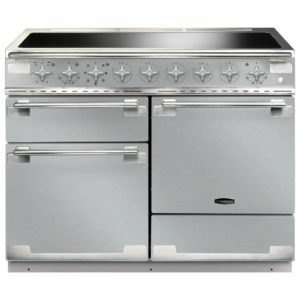 A wonderful combination of style and performance, this 90cm wide Elise range cooker from Rangemaster is sure to turn heads while helping you cook up all your favourites. 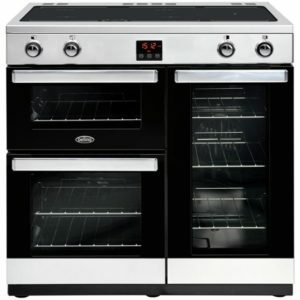 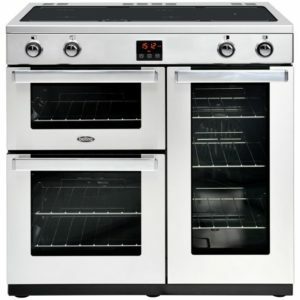 With two generous capacity ovens and a range of cooking programmes, including fan, defrost and conventional, whether you are baking, roasting or crisping you will be able to pick the perfect option every time. 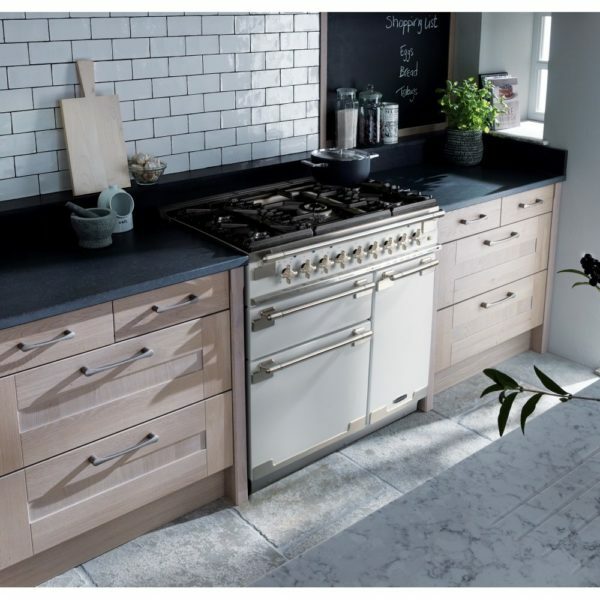 The five zone induction hob provides clever, modern cooking technology – just pop your pan on the cooking zone, and once it is turned on it will only transfer heat to the pan, much more efficient! Finished in subtle and stylish slate, you can certainly make your kitchen the talk of your friends.